The South Jersey Shootout has found a new permanent home in Logan Township, NJ. It is called DREAM Park and the course records, as well as extremely large cowboy hats, now belong to Isabella Turner and Richie Castaneda. 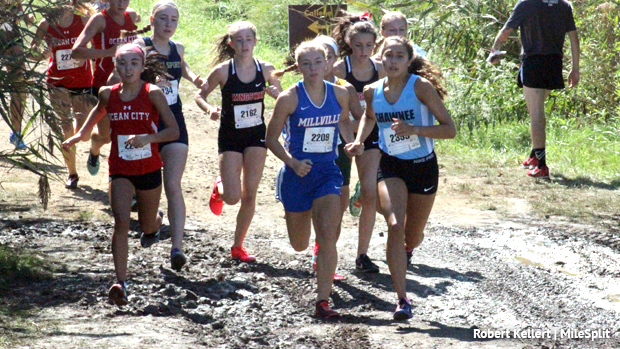 This meet breaks up your team's top seven into two separate races. Despite toeing the line with the rest of the lead runners for the teams in attendance, Shawnee HS junior Isabella Turner dominated the field with a 17:53 and led the meet by a over minute and a half. Her teammate Claire Hauser was second running 19:30. 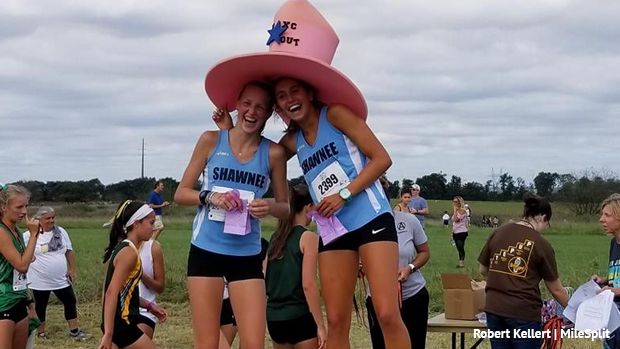 With those two out front Shawnee finished third in the merge as a team averaging 21:05. The top girls team of the meet was Ocean City HS with 71 points, eight ahead of Mainland Regional. Ocean City's attack was led by Alexa Palmieri who finished third with a 19:34, her teammates Casey McLees 20:15, Brooke Farr 20:34, Rebecca Millar 21:09, and Isabella Padula 22:40 making up the rest of their top five. 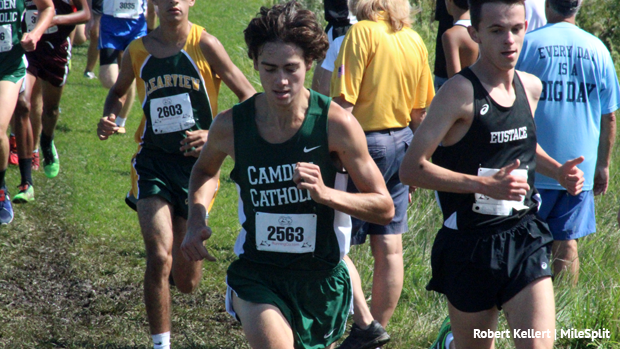 Camden Catholic senior Richard Castaneda earned the boys individual title running 16:21. This was after a race long battle with Connor Melko of Bishop Eustace who came in second at 16:23. Anas Bensaoud of Clearview, 16:26, and Dan White of Robbinsville, 16:29, also running within ten seconds of the Castaneda. With 107 points (8+10+11+19+59) Paul VI HS led the team merge and averaged 17:16. Ryan Tenerelli, Tyler Gargano, Matthew Slattery all under 17 minutes to help get them there. The freshmen races saw victory go to Kingsway athletes Allison MacFarland, 16:53, and Kyle Rakitis, 13:24, running over 2.4 miles. Kingsway also swept the freshmen team wins. In the 2400m middle school division Alexa Fisher of Williamstown MS, 11:14, and Nicholas Kuenkel of Marlton MS, 9:45, finished in the lead. The Marlton MS boys just missed a perfect score with a 1, 2, 3, 4, 6 finish and 16 points. Williamstown MS took the girls team title with 49 points.